National Geographic Travel editors selected it as the #1 summer destination of 2011. World leaders met there for the G-8 Summit in 2010. It’s the legendary lake district of Muskoka, Canada, which has been seducing tourists since the 1860s with its 1600 island-studded lakes, sparkling granite outcroppings, and pine-scented forests. From the earliest days, visitors who came to camp or stay at one of the lakeside inns became so enchanted that they bought properties for summer homes, known as “cottages”. U.S. President Woodrow Wilson owned an island on Lake Rosseau, one of the three largest and interconnected lakes. American industrialists and bankers, like the Mellons, summered (and descendants still do) in an area that became known as “Little Pittsburgh” and “Millionaires’ Row” - millionaires from a century ago, that is. There were plenty on the lakes - a tradition that continues today, with Hollywood celebrities among them. Goldie Hawn and Kurt Russell, Martin Short, Tom Hanks, and Steven Spielberg own cottages or visit frequently. L.M. Montgomery, beloved author of Anne of Green Gables and numerous other stories, spent a couple of weeks in Muskoka in 1922. She was so impressed and inspired that she set her adult novel, The Blue Castle, there – her only story not set in Prince Edward Island. In the third book of my Muskoka Novels, some of my characters meet her there. A century ago, it took the best part of a day to travel from Toronto to Muskoka, 100 rugged miles to the north. People often came for two or three months, so they boarded a train in the city with all their summer baggage, including chests of silver and china, pianos, and even cows. Arriving at the wharf in Gravenhurst on Lake Muskoka, they were met by their private yachts, or transferred to one of the large lake steamers, which dropped them off at their cottage or resort. The wealthy sometimes arrived at the pier aboard their private Pullman coaches with as many as thirty servants in tow. 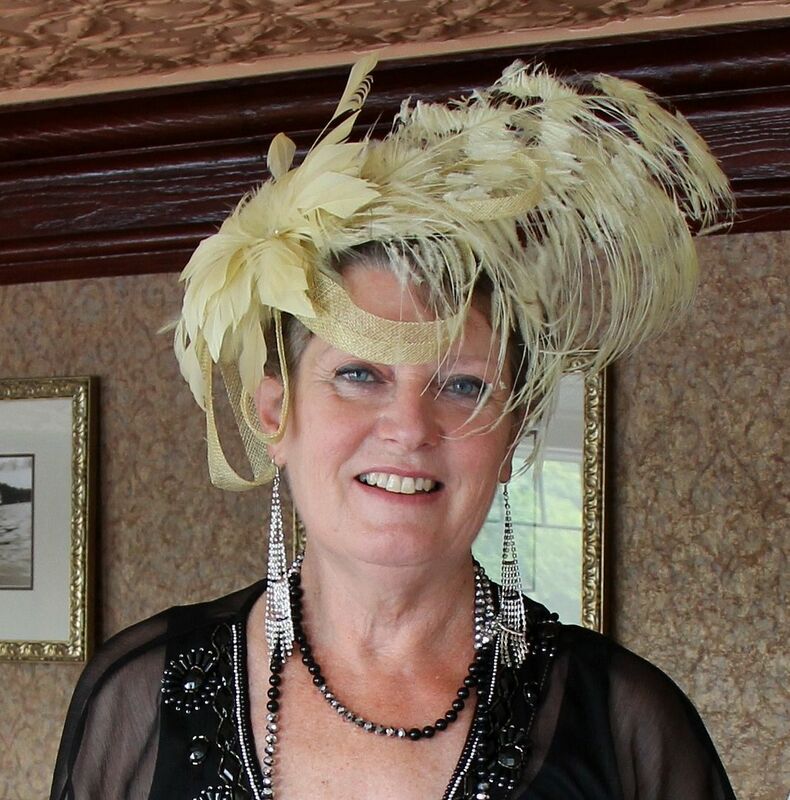 This was the “Age of Elegance” in Muskoka. My childhood friend has an island cottage, built by her great-grandfather in 1879, and a family compound has grown up around it. Amidst a congenial sea of relatives, she, her mother, and brother spent every summer there from the time that school ended in June until it began again in September, while her father – like the other working men - went up on weekends. I was first invited there when I was 12, and was instantly captivated by the stunning scenery, unique lifestyle, and lovely weathered cottage that held within its walls the essence of a bygone era. It was as if the past still lingered in the scent of old wood and musty books, on the expansive, wrap-around veranda and bedroom balconies, in the vanished spaces that had once housed servants. We played vintage records on the ancient gramophone, and the cottage still resonates to those long-ago tunes by the “light of the silvery moon”. Except for our clothes - shorts instead of the long gowns still to be found in cottage trunks - summer life hadn’t changed much over the century. We swam in the warm, sand-bottomed lake, sometimes skinny-dipping after dark. (Yes, they swam naked in the old days as well.) We marvelled at the infinite, star-spangled sky not cloaked by city lights. We fell asleep to the gentle lapping of waves, and were awakened by the haunting call of loons at dawn. We picked wild blueberries and clambered up to cliff-top lookouts. We paddled silent canoes and participated in the yearly Regatta, never winning a race, but having a blast trying. There were no TVs or telephones on the island, so evenings were spent around Ouija or Monopoly boards, reading well-thumbed Dickens classics from the ancestral library, or dancing on the dock, under the moon. It was idyllic. Hearing stories from aged aunts about the genteel olden days of their youth, I wanted even then to write about that fascinating time. My Muskoka trilogy, beginning with The Summer Before The Storm, recreates that era. 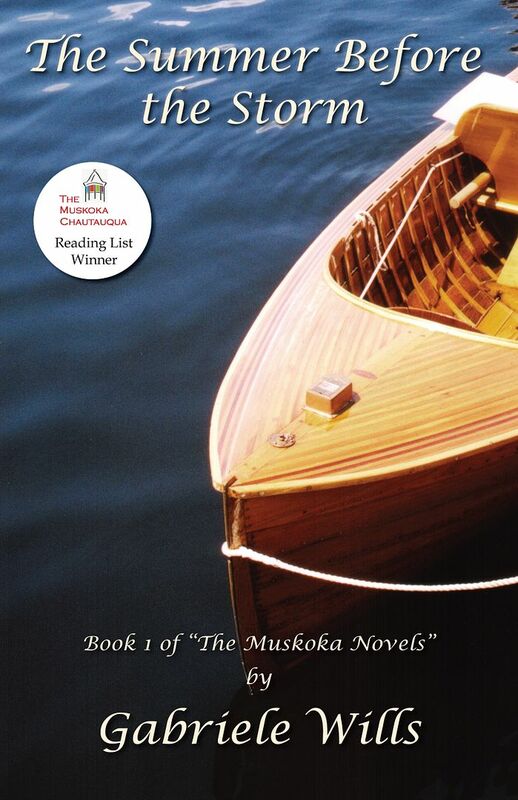 You can see some lovely photos of Muskoka on my short book trailer on YouTube. Please join Gabriele on the rest of her blog tour! Thanks for taking part in the tour. I hope you are enjoying the book. Thank you for inviting me to participate on your blog! Best wishes for a speedy recovery!